Photography Why Everyone Should Learn a Little Bit of Photography Why Everyone Should Learn a Little Bit of Photography Everyone should learn a little bit of photography because everyone can benefit from it. Here are five reasons why you should consider picking it up. Read More can be incredibly rewarding. Whether you’re just looking to take photos with your smartphone You Didn't Know You Could Do These 5 Awesome Smartphone Camera Tricks You Didn't Know You Could Do These 5 Awesome Smartphone Camera Tricks With the help of a few cool apps, your camera can also turn your phone into a film scanner, a font or color identifier, the ultimate search tool, and more. Read More , or you’re looking to learn how to make the most of manual mode on a DSLR The Best Entry-Level DSLRs For New Photographers The Best Entry-Level DSLRs For New Photographers If you want to take your photography skills to the next level, or you know someone else who does, then there's no better way than to enter the world of DSLR cameras. Read More , just getting out there and capturing the world around you can be a great hobby How to Improve Your Photography Overnight with Lynda.com How to Improve Your Photography Overnight with Lynda.com Lynda.com is great for online learning. Of the 546 photography courses available, here are some of the best ones for sharpening your skills in just a few hours. Read More . But getting into those advanced settings can be rather complicated. What’s exposure Get Perfect Landscape Photos Using Exposure Blending Get Perfect Landscape Photos Using Exposure Blending Uneven landscape photos getting you down? Get a balanced exposure without resorting to HDR using exposure blending — here's how. Read More ? How do you choose the right shutter speed Basics: Aperture and Shutter Speeds for Beginning Photographers Basics: Aperture and Shutter Speeds for Beginning Photographers Read More ? What the heck is metering? Don’t worry, we’ve found a really easy to understand infographic that goes over all of the basic camera settings you need to know in order to take better pictures How To Take Better Festive Photos This Christmas How To Take Better Festive Photos This Christmas Christmas is nearly here and the festivities are soon to begin. Are you ready to capture those wonderful moments with your trusty DSLR camera? Read More . 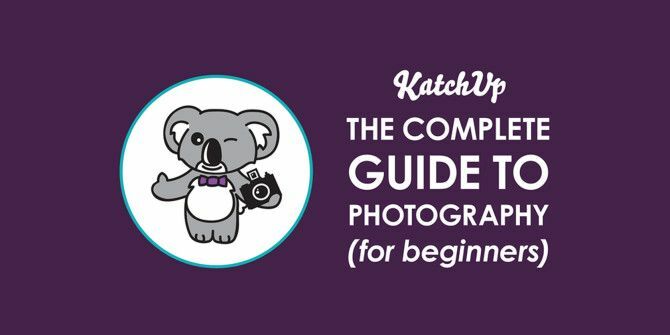 Once you read it over, you’ll have a better understand of how to take the perfect photo every single time! More discussion of composition and colour would be nice. ROFL is MakeUseOf's joke-bot. Wherever it goes, laughter follows.